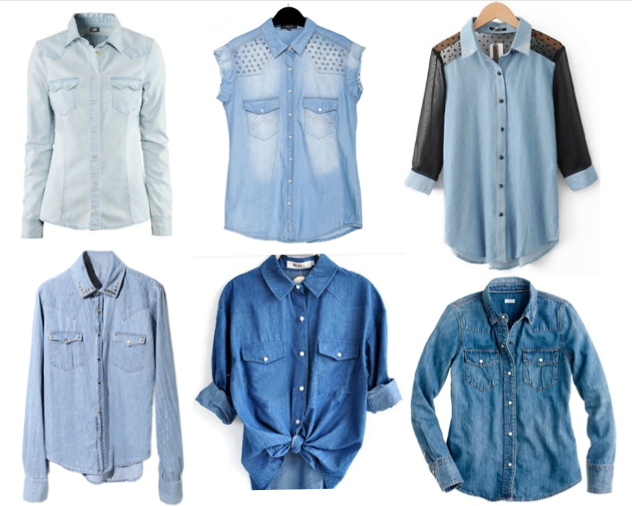 For this fall, denim and chambray shirts are definitely a closet must have. They are incredibly versatile and comfortable, but they also add a touch of the unpredictable 'western' look. Whether you wear it with a maxi skirt, colored jeans or a blazer, a denim blouse will give the entire outfit a 180º spin. I personally love the classic blouse, but brands have revolutionized the look adding spikes and studs, pieces of lace or an ombré dye. The variety of shade, texture, cut and color make of the denim blouse an original staple, perfect for fall fashion and beyond. 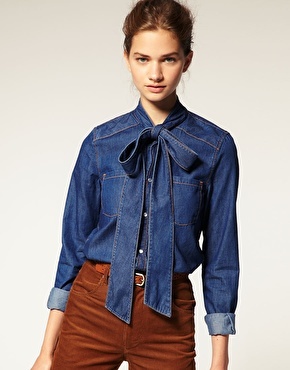 How would you wear a denim blouse? Images from Gal Meets Glam, This-Grace, Pinterest and Ceylonian.